St. Joseph, Missouri is a quaint town nestled on the banks of the Missouri River. The town’s early claims to fame include being a gateway to the “Wild West,” the home of Jesse James and the starting point of the Pony Express. Today the beautiful downtown area is filled with buildings of historical significance, including a large brick Italianate known as the Cracker House. Built sometime in the 1850s or 1860s, the home was owned by Frank L. Sommer, the inventor of the saltine cracker and founder of the American Biscuit Company, which eventually became part of NABISCO. The beautiful three-story home was designed and built by premiere architect E. J. Eckel. Though it has set vacant for many years and fallen into disrepair, there is new hope for this treasure. It comes in the form of The Cracker House Project, an ambitious initiative aimed at preserving this lovely piece of history. Leah Swindler is passionate about not only the Cracker House, but all historical buildings in St. Joseph and beyond. Here’s what she had to say about saving this gem of St. Joseph. When you first told us about this project, you were busy with repointing the brick. How did that go — and what’s next? We have almost completed repointing the exterior, now only the south side needs to be done. It’s the worst, and we have to wait until we remove the roof in September to finish that. Next on our agenda is, then, removing the roof. The roof is caving in to the building and the plan is to rent an articulating lift and we have several volunteers and an engineer that will be helping to remove the roof debris and hopefully install bracing soon after. Then the house will effectively be mothballed until we can raise funds to put a new roof on. We will then clean out the interior and salvage what we can of trim and plaster stenciling. We are excited to be hosting a group from Adventures in Preservation next Spring (late May-early June) to help us in our next steps, including working on the trim, replicating the corbels, painting the building, doing interior repointing, etc. We don’t have definitive proof of involvement in the underground railroad, but it is local lore. The house has a tunnel underneath it connecting it to the Missouri River, which was common to draw river breezes as a cooling method and also for bringing supplies in directly off barges. Additionally, rumor has it that the cupola on top of the house was used as a signal beacon, placing a lantern in it, as a “go ahead” to sneak people out from neighboring houses as well. These rumors do make sense as a union fort is located only a few blocks away as well as a historic road along the river that was also thought to be used in the Underground Railroad. I imagine it was a very exciting time in that neighborhood! What do you see as the most challenging part of the restoration? The most challenging part of the restoration is going to be this first push- raising funds to put a new roof on the building. Previous administrators of the non-profit made a lot of promises and were never able to follow through, so the community does not currently have a favorable impression of the project, even though it is under new management. It has been difficult to raise financial support for this first, and most expensive, phase. However, it is widely believed that once we show that we are actually accomplishing things and moving forward it will be much easier to gain support, as well as help. We have many people excited to volunteer their time and talents to remodel the house, but for the roof we will need to hire a professional crew. Have you decided how the home will be used once renovations are complete? We do not have a concrete plan yet for the eventual use of the building, but several exciting ideas! 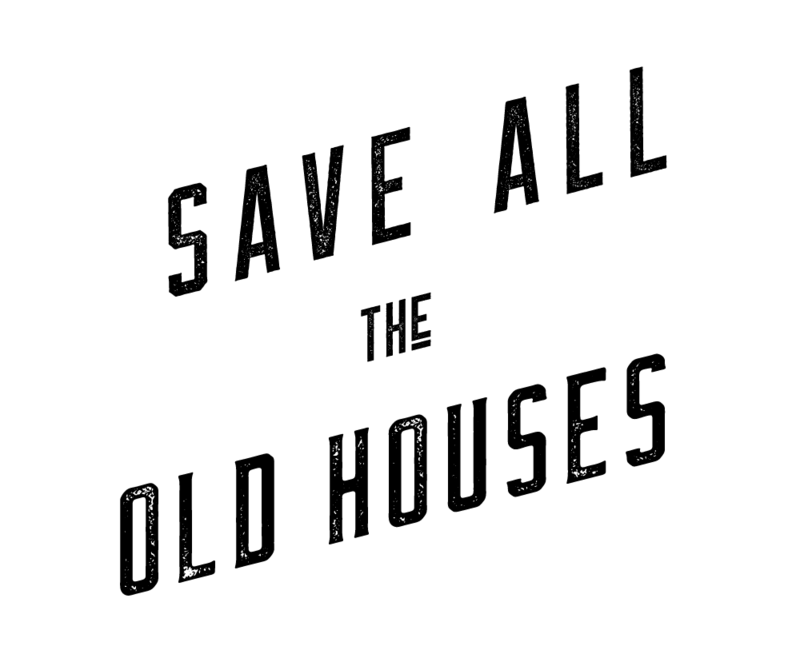 The main goals are to preserve the building, and its story and to utilize it to give back to the community (the surrounding neighborhood is very poor and blighted). – A “Missouri Made” shop featuring locally produced food and goods. The huge yard will be cultivated as a permaculture/local flora green space that people can come to and enjoy. There is nothing like this in the neighborhood, and we want this area to be welcoming. This home is located right off the exit of a major interstate, and a main avenue through the town. We consider the home to be at the “Gateway to the North End” of the town, and we would love to use it to attract tourism and business to this once great area of the city. 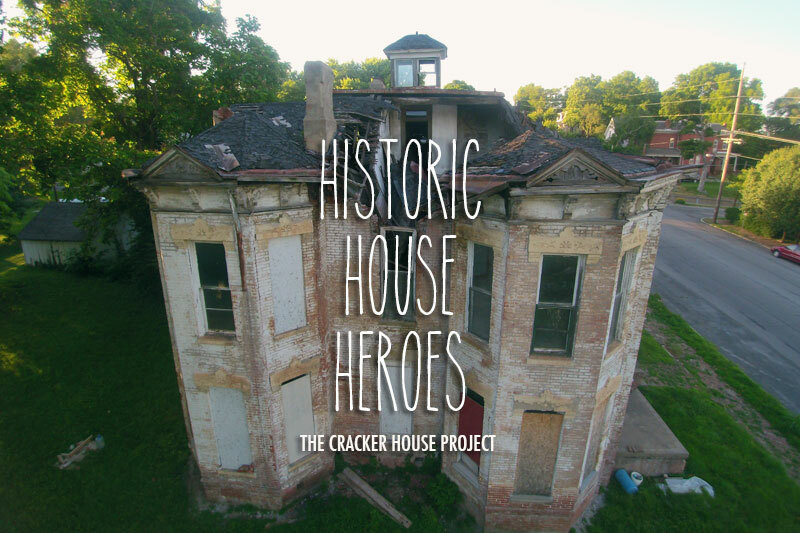 If you want to stay up-to-date on what’s happening in St. Joseph, check them out here: The Cracker House Project.